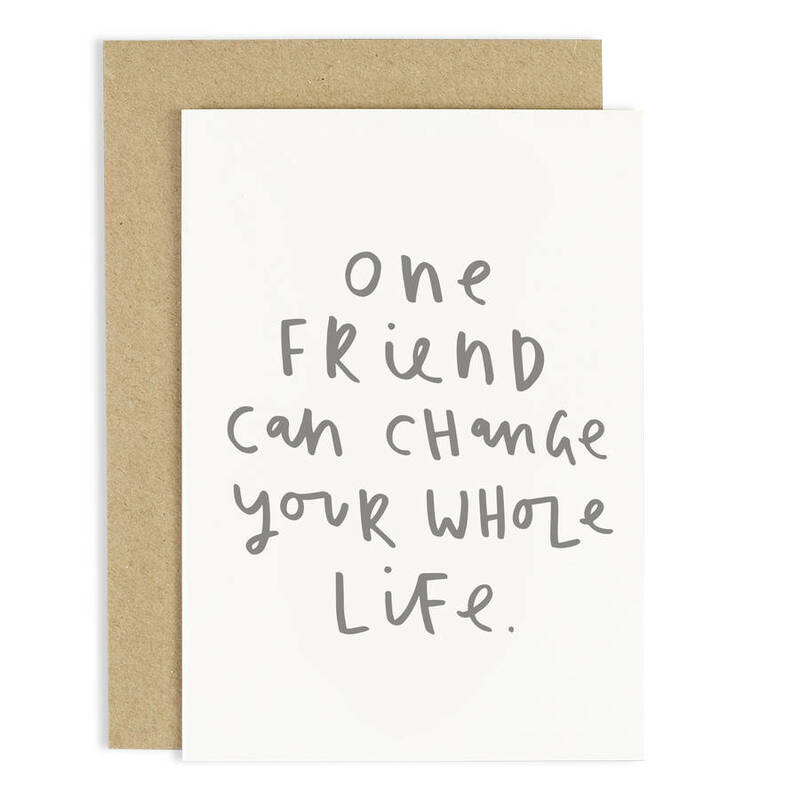 This simple hand lettered 'one friend' greeting card is the perfect card for those amazing friends who mean the world to you. This stylish and bold typographic card has been illustrated and printed on to high quality white card and comes with a kraft envelope. 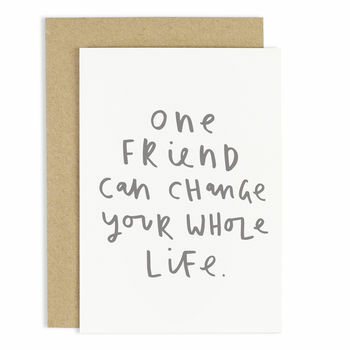 The fun hand lettered friendship card has been designed with the message 'one friend can change your whole life'. The unique card would make a lovely card on a special occasion between you and your best friend. The card is 10.5 x 14.8cm (A6) and comes with an accompanying kraft envelope.